This post contains affiliate links. To learn more, hop over to our Disclosure page. You didn’t think I “reset my August” without a complete beauty overhaul, now did you? In the second part of my August Reset mini-series, I’m showing you everything I do to change up my skincare routine and everyday makeup look. But for now, enjoy my skincare routine great for keeping your skin happy as the weather transitions from warm and humid to dry and nippy. Also have a look at my no chill fall inspired makeup routine. You’ll see what I mean! Everything, and I’m talking everything, gets overhauled in August, and that includes my skincare routine. Although August isn’t necessarily the most practical time taking into consideration my current living situation, I like doing it anyway, because well, FOMO. Everybody else in the world is getting ready for the fall season, and so I dutifully follow along each year. But on a serious note, I do notice slightly more skin dryness and flakiness as the weather gets slightly cooler and breezier, so I enjoy amping up my moisturizing routine to compensate. Keeping with the times, ya know? If you live somewhere where it does get legitimately cold, August makes for the perfect experimentation month. You’ll definitely want to have your skincare favorites stocked and ready for when you really need them. I received a sample of the Fresh Rose Face Mask in a Sephora Play Box a couple of months back, and I’ve been using it regularly as of late. It’s moisturizing without feeling heavy or greasy, and the scent reminds me of my childhood for some odd reason. On the lotion front, I switch to a heavier moisturizer in the cooler months. I really only use moisturizer at night (don’t judge me!) so it doesn’t affect my daytime routine, but I feel like it makes my makeup look better even after I rinse it off in the morning. 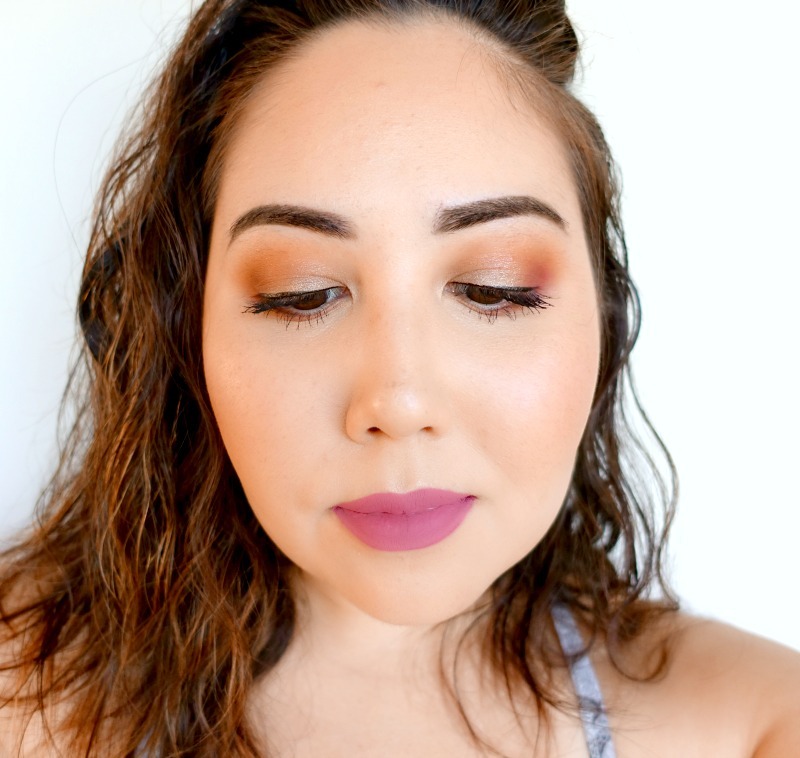 My go-to makeup look changes as the season goes on, but I always start with a look something like this “epitome of fall” look. I’m eager to put away my sheep lipsticks and nonexistant eyeshadows and I’m ready to break out the fall (stereotypical, let’s be real,) staples. This is me having no chill. Fall is coming! Changing it up this season and doing my face before my eyes. Nothing to do will fall, really. Recently I’ve been noticing more visible pores on my cheeks and around my nose. I’m using Benefit POREfessional because it makes my skin look very smooth, and it helps control my oily skin at least a little bit. Make Up For Ever Ultra HD Stick Foundation tends to be too greasy for me in the warmer months, but I love it in the fall and winter because it’s so versatile. I can use a lot for full coverage, a little fro lighter coverage, and it always gives me a flawless finish. Nars Radiant Creamy Concealer is an old favorite making its way back into the rotation, and I’ve missed it dearly. The coverage is incredible, yet the formula feels lightweight and it doesn’t add bulk to your under eyes. I use a shade that’s similar to my foundation because I don’t want a heavily highlighted look competing with my heavier eye makeup. To keep my face looking refreshed and not too dry, I like using It Cosmetics Your Skin But Better Powder because it leaves such a natural and not powdery finish. For some reason, I only wear Benefit Hoola Bronzer in the fall and winter season, so naturally I’m eager to sweep that beauty all over my cheekbones and gigantic forehead again this year! I top that with my matte Tarte Amazonian Clay Blush in Paaarty for a neutral cheek that complements my warm eyeshadow well. 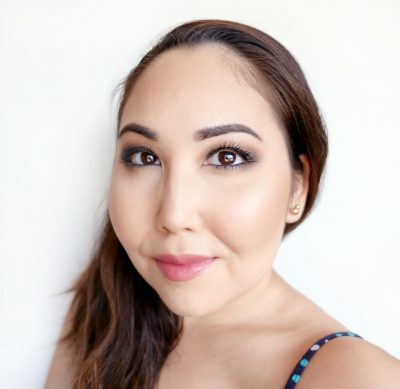 Finally, I dust some Becca Champagne Pop on my cheekbones, nose, and above my eyebrows. As per usual, I start by defining my third-cousins-twice-removed eyebrows. They’re pretty uneven. I like using a slightly deeper and cooler shade come fall, and Ulta Ultra Slim Brow Pencil in Dark Brown is my absolute favorite shade. Next up, I apply my favorite eyeshadow primer of the moment, Sephora Collection Beauty Amplifier Eye Primer, and get to work on my fall-inspired eyeshadow. Now grab your Anastasia Beverly Hills Modern Renaissance Palette. Start by applying BURNT ORANGE to the crease with a fluffy brush and blending into oblivion. I use the brush that comes with the palette, and it works just dandy for me. Next, pick up a touch of RED OCHRE and swirl that into your outer corners, and whisping it lightly up into your crease. Pick up PRIMAVERA on your ring finder and dab the color lightly onto your lid. On the bottom lid, blend RED OCHRE on to the outer half, and then blend over your entire bottom lash line with BURNT ORANGE. Swipe on your favorite black liquid eyeliner, and top with mascara. That’s it! So simple, yet so amazingly beautiful. Looking for more tips on how to achieve that super blended & “pro” eyeshadow effect? Check out this post for all my best tips >> 10 Ways to Make Your Eyeshadow Skills Look Professional AF! After a long summer of neglecting my liquid lipsticks, it’s time to give them some lovin’! For this look, I went with an old favorite, Stila Stay All Day Liquid Lipstick in Patina. Patina is a gorgeous pinky-mauve shade that looks amazing on so many different skin tones, and it’s actually not too drying as far as liquid lipsticks go. Plus I have great scent memories with the formula, so it just makes me happy. Maybe you think of August as the “beginning of the end” of the year, but I like to think of it as the “half-way” point. There’s still plenty of time to turn things around if the the first seven months didn’t go exactly as planned! You’ve heard this one before: the first step to change is recognizing the problem. Sometimes issues aren’t obvious, and we don’t always realize we could be doing better unless we deliberately audit ourselves. This is why my August Reset is so important to me. Yes it’s scary, yes, it’s frustrating, and yes, it takes time, but I highly recommend setting aside some time in August to “reset” your plans. Come the end of the year, you will be glad you did. There’s not a worse feeling than ending yet another year of your life feeling inadequate because you didn’t accomplish what you set out to. That doesn’t have to happen again this year; don’t let it! Take matters into your own hands. If you find this post interesting, informative, or just plain entertaining, tell me about it in the comments below! And don’t forget, sharing is caring. Share this post! Sign up for my free monthly e-journal, The Millennial Maven Love Letters for exclusive content + millennial inspiration and lifestyle hacks. Plus get instant access to my library of on-the-go style downloads! FTC- Not sponsored by any brands mentioned. I purchase all products myself. All opinions are my own. Some links may be affiliated. I'm Kay and I'm from the 90's. I am fascinated with all things productivity: planning, organizing, motivation, and also living a more minimal lifestyle. But those can come at a price. Specifically, your beauty & wellness rituals. Here you'll find my secrets & discoveries for living a full & meaningful life without sacrificing yourself to the Evil Sweatpants Monster. Look good. Feel good. Be productive. Be your best you. 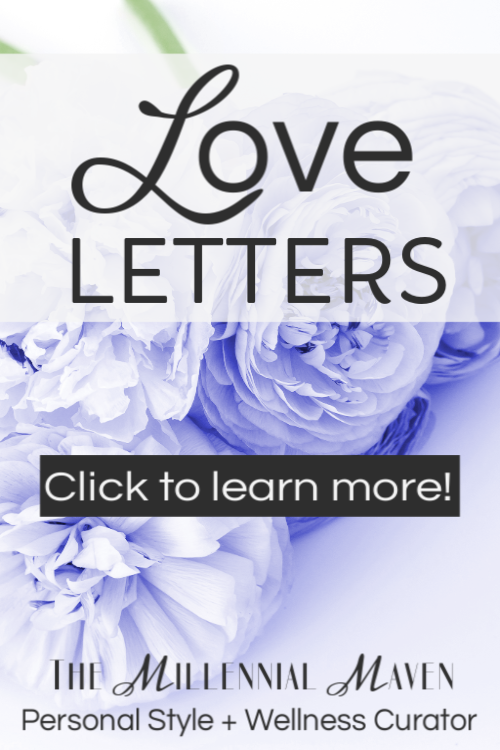 E-Letters filled with lifestyle advice, inspiration & updates. How to live a productive life, looking & feeling like your best self. Get access to my just-for-subscribers collection of beauty & style downloads. E-Letters filled with practical advice, inspiration & updates. Sent with love on the last day of each month.